Tribune Chronicle / Robert Hayes Youngstown State freshman and Mathews graduate Addy Jarvis fires a pitch during a recent game. YOUNGSTOWN — The Youngstown State softball team has been on a roll since returning March 20 from their southern trip. The Penguins (20-20 overall) are 16-4 since their return, including an 11-game winning streak and a doubleheader sweep of Cleveland State on Saturday. 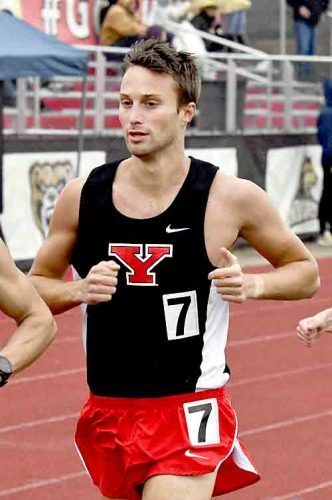 YSU is 8-2 in the Horizon League. 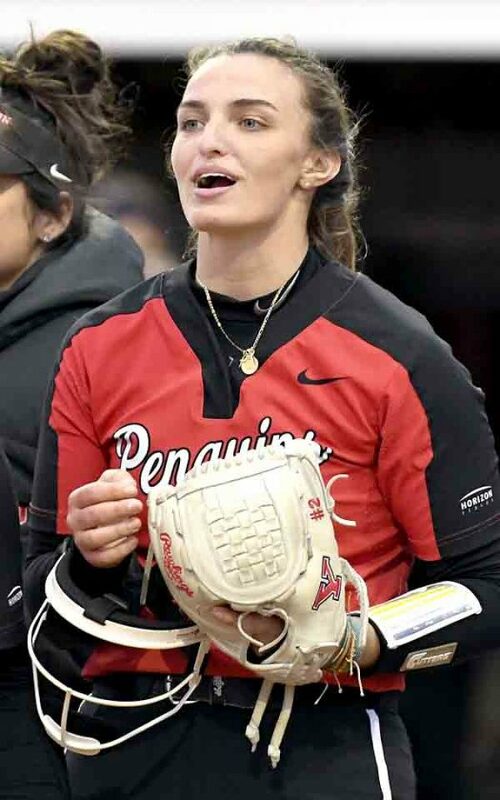 A big reason for the Penguins’ success is freshman starting pitcher Addy Jarvis, a graduate of Mathews High School who also played three years at Hubbard. For Jarvis, playing Division I softball in her hometown is important. “Just being able to represent our hometown, it’s a blast. It’s nice to have everyone I know at the games, my whole family comes, a lot of my friends come from high school,” she said. As a freshman, Jarvis is one of the Penguins most reliable and dependable pitchers. Through Friday, she had made 18 starts (24 appearances overall), and has racked up 152 strikeouts in 117.1 innings pitched, with a 2.57 earned run average. She picked up the first two saves of her career Saturday in the sweep of CSU. 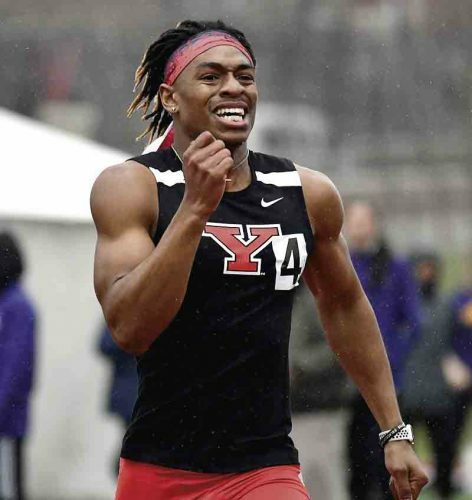 Tribune Chronicle / Robert Hayes Addy Jarvis roots for her YSU teammates from the dugout. Jarvis also recently set YSU’s all-time record for strikeouts in a game with 15 against the Niagara Purple Eagles. 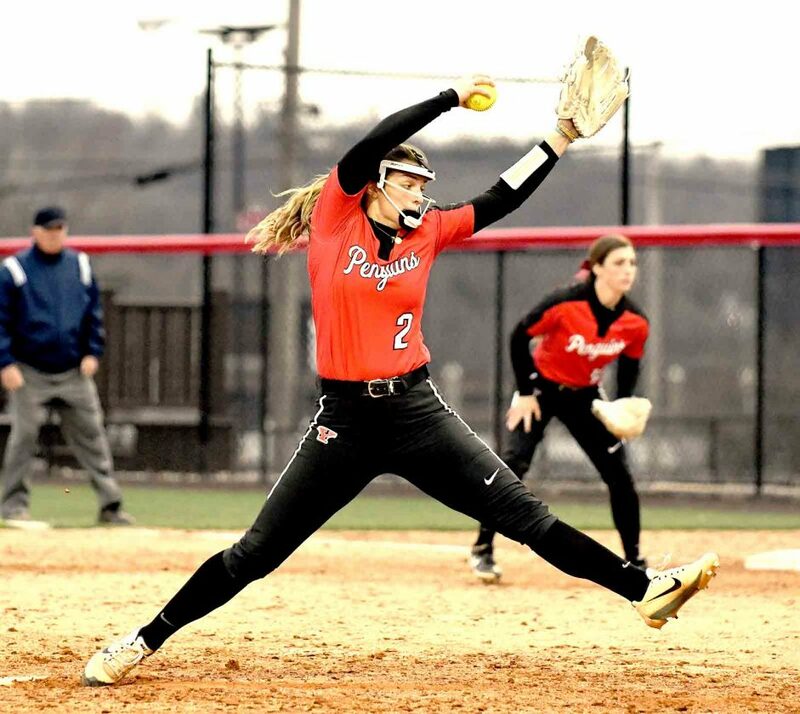 Striking out hitters isn’t something new to Jarvis, as the two-time All-Ohio first-team pitcher had 888 strikeouts in her four-year high school career, and posted an impressive record of 64-11. Jarvis understands the challenge in transitioning from high school to Division I college softball. Although she went to Hubbard for three years, Jarvis wanted to play in her hometown for her senior year. “Coming back to Matthews was a blast, because those are my best friends that I’ve been around since recreational ball when we were younger, so it was nice to be able to come back and play with them for one last year,” Jarvis said. 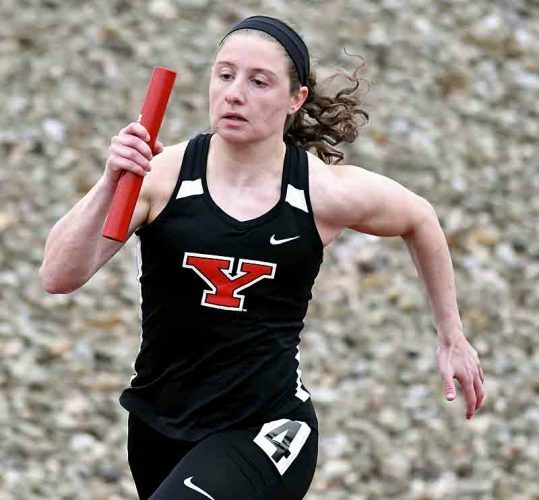 Alivia Oulton, a current teammate of Jarvis at YSU and a Mathews alum herself, knows that Jarvis is a great athlete. “I think she’s killing it, she’s doing really well, and has been very consistent,” Oulton said. Although she’s playing well, Jarvis has grander goals in mind. “I just want us to keep winning games and keep getting those extra runs, while coming out and being explosive,” she said.